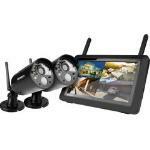 Uniden G3720 Expert Reviews - Read Reviews and Buy Smarter Online. Verdict: Had product for several months now and whilst happy with the features a few issues that could be easily fix. Camera often require reboot after power outage. Not having wifi is also frustrating as it means your screen needs to be next to the router if you want to view when away from the house.